Samsung is joining Lenovo and Toshiba by getting into the 4K Windows 10 laptop game. The electronics maker recently announced two new additions to the Ativ Book 9 line-up, including a 15.6-inch clamshell with a 3840-by-2160 “Ultra HD” 4K touch display. Beyond the gorgeous display, the $1,600 Ativ Book 9 Pro packs some nice components, including a 2.6 GHz Intel Core i7-6700HQ processor, 8GB of RAM, a 256GB SSD, and Nvidia GeForce GTX 950M discrete graphics. It also has 802.11ac Wi-Fi, Bluetooth 4.1, a Type-C USB 3.1 port, a trio of USB 3.0 ports, 4K HDMI out, and an SD card reader. Samsung’s new 4K laptop comes up short on battery life, however, with a dismal 6.5 hours—probably due to that pixel-packed display. 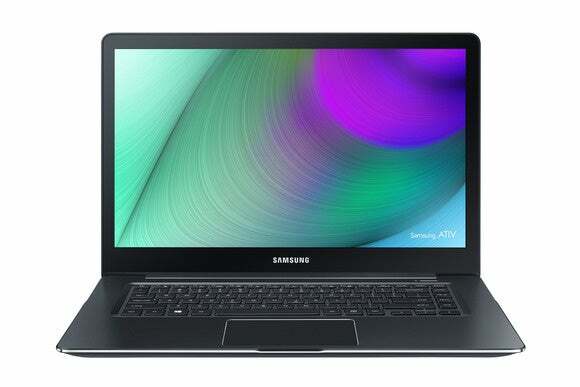 The Ativ Book 9 pro will go on sale in November on Samsung.com and Best Buy. The Ativ Book 9 Spin. For folks who aren't interested in a 4K display, Samsung also announced the Ativ Book 9 Spin, which—as its name suggests—features a display with a 360-degree hinge. 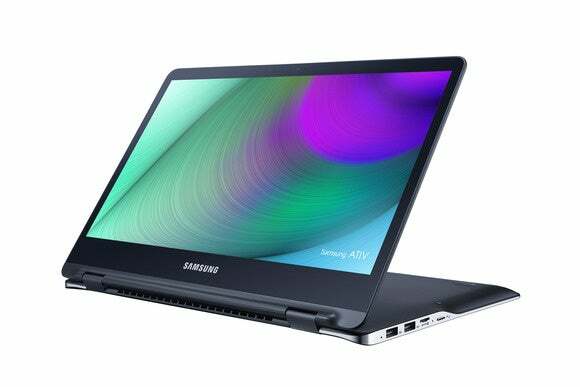 Samsung’s take on the Lenovo Yoga can be used as a regular laptop, or swung around for tablet and tent mode. The Spin comes packing a 13.3-inch display with 3200-by-1800 resolution, a 2.5GHz Intel Core i7-6500U processor, 8GB of RAM, a 256GB SSD, Intel 520 integrated graphics, 802.11ac Wi-Fi, Bluetooth 4.1, three USB 3.0 ports, HDMI out, and a microSD card slot. The Spin’s battery life promise comes in at 7.3 hours. The Spin also rolls out in November with a suggested price of $1,400. The impact on you at home: 4K still feels excessive on a relatively small laptop screen, unless you’re really into pixels, pixels, and more pixels no matter the screen size. Nevertheless, every major laptop maker is rolling out a 4K laptop. Toshiba and Lenovo were the early pioneers of this feature, and now Samsung joins the 4K ranks. Other companies also joining in include Dell, with a 4K option on its XPS 15, and Acer, which offers a 4K option on devices like the V Nitro and upcoming Predator gaming laptops. More 4K laptops are a near certainty.